How do I manage different versions of a file? Filestage allows team members to upload new versions of a file; reviewers are unable to upload versions. Uploading files on top of a previous version will not count towards your file limits. When uploading a new version of a file, the new file will not have any comments as it is a new file. However, you can switch between the historic and new versions to see past remarks and the progression of that file. If you made a mistake and uploaded the wrong file - you can always delete it as well. There are two ways to upload a new version of a file: Either on the project overview, or on the file view. Click the Upload New Version icon on the right side of your file. Select the file you want to upload from your file explorer. Open the version menu by clicking on the version number at the top of the sidebar. In the version menu you will find a button to upload a new version of this file. Alternatively, you can upload a new version in the file view using drag and drop. To do this, drag the file over the sidebar and drop it to upload it as a new version. If you have more than one review step and you are uploading a new version of a file, you will have to confirm which review step you want the new proof to be added. By selecting the proper review step, you ensure that only the appropriate people will view the latest version. By selecting the proper review step, you ensure that only the appropriate people will view the latest version. It is important to note that only team members of a project will be able to see historic versions and comments in all steps. 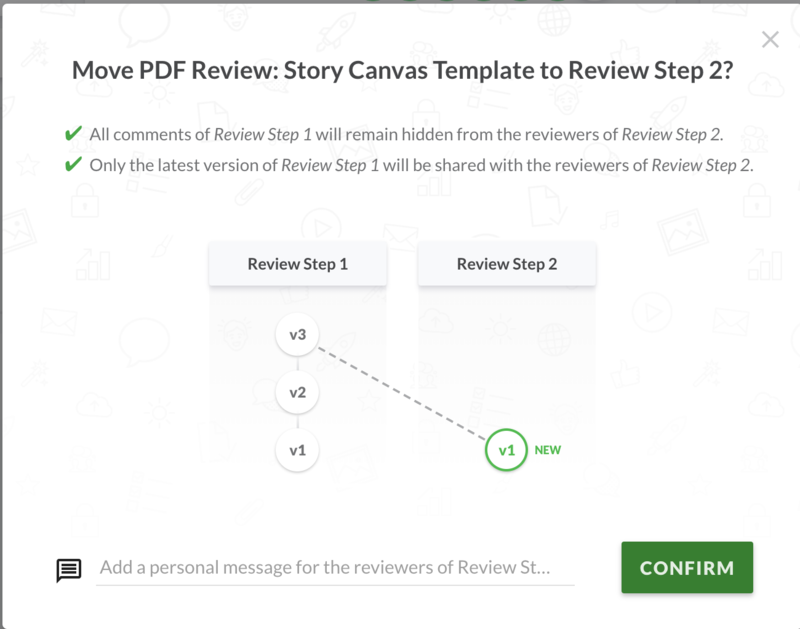 Reviewers will only be able to see version history in the review step that they are invited to see. If you have any questions or comments, please feel free to reach us through the chat or email at [email protected].